Govisystem™ is an intelligent dispenser, which reads the fingerprint of healthcare employees while dispensing sanitizer gel and transmits their hand hygiene moments and the location. The problem we solve: 7-10% of all hospitalized patients and 30% of intensive care patients are infected by the contaminated hands of doctors and nurses, leading to 1.7 Million people infected, of which 99000 die every year with an additional annual spending of 6.5B$ in prolonged hospital stays in the U.S. alone. As the situation is similar elsewhere, it is estimated that more than 1 Million lives can be saved yearly around the world, with a total annual saving of more than 60B$. We have made and tested prototypes. We would like to have funds to travel and promote the product for hospitals by participating in exhibitions/conferences in the U.S. We also need to create the business infrastructure, including the manufacturing facility. Ours is a non-profit life saving project. 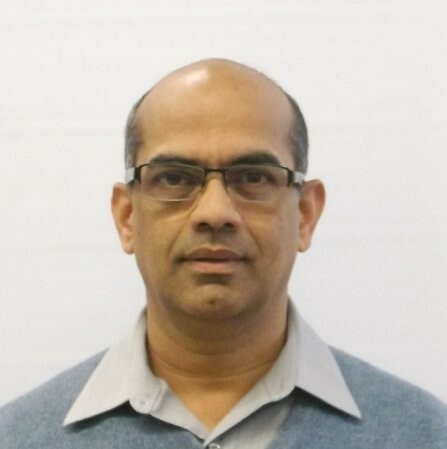 Bio: Rajaram Govindarajan has undergraduate degrees both in Engineering and Medicine. His first undergraduate degree is in mechanical engineering. He received Ph.D. in Engineering from Iowa State University. He used to work as an automotive quality engineer in Detroit. Then, as he started working as a quality improvement consultant in healthcare, he decided to study M.D. to get an in-depth understanding of safety and quality issues in healthcare. He received M.D. in Medicine from Universitat Autònoma de Barcelona. He is a Professor at the Department of Operations Management, Innovation and Data Sciences at ESADE Business School and a senior healthcare management consultant. He has patented the GovisystemTM which is a not-for-profit social-initiative deigned to save lives by significantly increasing hand hygiene compliance in healthcare, food and pharmaceutical industries. Biography: I was born in 1964 in a village near Barcelona (Spain). ACADEMIC HISTORY - Technician specialist metal branch (FP1 and FP2). - Electrical engineering diploma. Polytechnic University of Catalonia (UPC). - Euro-Engineer accreditation number: 25.149 by FEANI (www.feani.org) PROFESSIONAL EXPERIENCE - FOUNDER AND MANAGER OF SOFTWARE COMPANY (1999 - Present) - BOARD MEMBER OF CETIM ORGANIZATION (1996 - 2003) www.cetim.cat - CHIEF TECHNOLOGY OFFICER (1991 - 1999) www.pujol.com OTHER Awarded by the Catalan Government in 1985 for the best software of the country. I love technology, projects, entrepreneurship, international relationship, etc. Patients are admitted in a hospital to receive treatment for their own acute ailment, sometimes in serious condition admitted for intensive care. They are there with the hope of receiving the best possible treatment and get cured. Ironically hospitals, designed to save as many of these lives as possible through effective treatments, may kill some of these vulnerable patients unintentionally*. Can you imagine 7-10% of all those who are admitted in a hospital get an infectious disease, in addition to their original disease for which they were admitted. Most of these infections are caused by the contaminated hands of healthcare employees**. In case of intensive care patients, and other patients with central catheters such as the ones receiving chemotherapy or dialysis, the infection rate could be as high as 30%. For these "misfortune" patients, who have received an infectious disease from their hospitals, there are two diseases to fight against, instead of one with which they were admitted, making their suffering unbearable. They are susceptible of not being cured at least by one of the two. Studies show that in the U.S. alone 1.7 Million people are infected by hospitals each year, of which 100,000 lives are lost, and the remaining 1.6 Million people cost the system 6.5B$ each year due to additional treatments and prolonged hospital stays. In a 600 bed hospital, there are 3 patients infected every day, a patient dies every week, and there is an additional annual cost of 2.5M$. Our innovative system does not allow for any undetected non-compliance of employees, tracks every employee´s hand hygiene compliance level and provides a follow up mechanism until habits are formed. As non-complying employees may have legal implications, there is motivation for increasing compliance. Our system benefits patients (less morbimortality), provides systemic solutions to facilitate the work of the employees and make compliance easier for them and provides significant cost savings for hospitals. Healthcare employees have been trained on how and when to do proper disinfection of their hands. They are aware of their ethical obligation to provide safe care for their patients. They are aware of the consequences of lack of hand hygiene. When it comes to hand hygiene, the way to fulfill this ethical obligation is by following the protocol. However, it has to be said that there are some systemic issues that do not facilitate protocol compliance. Some times, employees are so busy that they may forget. Sanitizer flasks are not always found when and where care is provided making it difficult for employees to comply with the protocol. Some times, sanitizer flasks are empty as there are no systemic replenishment controls in most organizations. Most important of all, there is a lack of control mechanism to identify non-complying individuals and follow up on them until habits are formed. When there are no external systemic controls, human behavior cannot be standardized (Examples: for people to buy train tickets we need ticket inspectors, to make parking payments, we need tow trucks, or to follow traffic rules, we need tickets and fines). Undoubtedly, even without external controls, some people will follow the rules, but not all of them. In other production systems, when the non-compliance of a critical standard operating procedure has serious consequence, for example, the compliance of the flight take off checklist, organizations do not use awareness training as only method to achieve compliance. Non-complying individuals are identified and warned until employees create the culture of compliance. In the presence of the systemic issues that do not facilitate the compliance, coupled with the lack of control mechanisms, how can we blame the employees? Location: Gel dispensers are permanently placed within two steps from the point of use. Availability: Gel availability in all dispensers is monitored in real-time on the computer screen of the person who has to do the replenishment. Validity: The validity of the gel used is guaranteed through proper quality control methods. Amount: As the system “knows” its users, it is also made to “know” their hand size and to dispense a personalized "correct" quantity, sufficient for right disinfection without wastage. Guidance: Protocols are established and individual performance targets are set. Evaluations: Individual evaluations and follow up are done to form hand-hygiene habits. Govisystem™ facilitates the work of healthcare employees and helps them create the culture of hand hygiene compliance. Employees can be proud to be able to save 100s of 1000s of lives world-wide each year. Hospitals have five big incentives for using our system: 1. the credibility of safe care that will protect their patients, 2. the satisfaction of the compliance of the moral obligation of making employees comply with the protocol, 3. the reduction of mortality (estimated to be 45 in a 600 bed hospital), 4. the satisfaction of reducing the infection rate (estimated to be 1200 infections each year in a 600 bed hospital), and 5. an annual savings of 2.5M$ in the 600 bed hospital due to the prevention of unnecessary hospital stay and treatments that HAI requires. Currently, although hospitals know that there is a collective non-compliance that lead to devastating consequences, they do not know how to identify non-complying individuals to follow up on them. Our system will precisely provide the tool hospitals need to identify non-compliance levels of each and every employee and follow up on them to help them create the missing habit. Our advanced version can interact with the information system of the hospital and establish possible traceability to individuals who provided care and their possible lack of hand hygiene that may have led to HAI related deaths. This may lead to possible legal basis for accountability. This might also save high insurance costs of hospitals. In this social initiative, many organizations will have business opportunities. Companies are needed to promote it, local companies in many countries will be needed to obtain licence to manufacture, install and maintain our system in hospitals, food processing and pharmaceutical industries. In United States the annual cost of infections are $ 6.5 billions and about 100,000 lives are lost. These devastating consequences of the low-level accomplishment of the 5 moments WHO protocol. Our solution is a tool for hospitals to control and monitoring this compliance. Therefore, we can avoid most of this cost. Nowadays we do not have any connection to New Orleans. Our goal is to install our solution in a hospital in order to prove the great benefit it can be. After this success the other hospitals will order our solution. So please, we just need the money to install it in one hospital. Spanish Patent Number # 1 186 958 with priority worldwide claim from 16 June 2017. We believe this product does not require any special approval from government regulatory bodies because it does not affect patient-realted clinical protocols. In any case as the sanitizer gel is applied in the hands of employees, the material used currently or in the future in our system will always be the one safe for the skin and be an effective disinfectant, approved by different governments. The external case of the device is designed with polished stainless steel to keep it clean and not become a source of contamination itself and the equipment is tested for electromagnetic compatibility with its micro environment. The information we have, based on the advice we received from experts, is that it does not requiere FDA approval. See the section above for more explanation. 2. Making free installations in a small area of 2 strategic hospitals in the U.S.A. (100,000 x 2 = 200,000$). Once the U.S. hospitals accept the device, it will become a tendency for the rest of the world. 4. Getting basic company infrastructure mostly for legal, technical and external communication costs (130,000$). Dr. Rajaram Govindarajan, the patent owner, has donated personal savings to patent and promote the product so far. This money will not be used to pay him back. Hospital Acquired Infections (HAI) caused by Multi-Drug Resistant Organisms (MDROs), which are mostly spread through the contaminated hands of healthcare employees, are on the rise worldwide. All hospitalized patients (7-10% infection rate) and critically ill patients (30% infection rate) are especially vulnerable. The great majority of the literature offers convincing evidence that improved hand hygiene practices lead to a reduction of HAIs. Since 1980, awareness training has been used as main strategy to improve hand hygiene compliance, without significant sustained improvements. In the U.S. alone every year 1.7 Million hospitalized patients are infected, of which 99000 die, and there is an additional cost of 6.5B$ due to extended hospital stays, additional treatments and damage claims. For decades compliance levels have been less than 50% world-wide. This historically stable non-compliance levels tell us that things won´t get any better with this strategy of creating awareness. In other production systems, the compliance of any critical protocol, for example, the use of flight take-off checklist by pilots, is never left so optional and voluntary as it is done with hand hygiene. Whenever there is a serious consequence for protocol non-compliance, a control mechanism is needed to detect and warn non-complying individuals to slowly create the habit of compliance. In addition, there are some systemic issues that may make compliance difficult for employees. Sometimes gel flasks are not found at the point of use or may be found empty. When employees are busy, remembering to disinfect the hands becomes a systemic human factor. Others may underestimate risk levels and think that their hands are clean enough. In the presence of such unresolved systemic issues and in the absence of a control mechanism, how can we blame employees? Govisystem™ is an innovation of the strategy for hand hygiene compliance accomplishment. Its design puts the burden on the system, not on its users. It consists of patented, intelligent dispenser system that acts as “poka-yoke” as it does not give the option of undetected non-compliance to employees. It consists of as many dispenser units as needed, which are placed in different hospital rooms and are geolocated in the control software. Each dispenser unit reads the fingerprint of the very hand placed in it to obtain sanitizer gel, identifies the employee doing so and transmits their hygiene moments in real time. The dispenser is designed to guide the middle finger into the fingerprint reader while almost instantaneously releasing the sanitizer gel in the palm. Through this system, supervisors can sit in their office and know in real time which employee obtained gel, at which dispenser location (which patient room), at what moment, how many times and at what intervals, given the clinical task assigned to that person. With this information, hand hygiene moments and compliance levels can be tracked for each employee. Our advanced version can interact with the information system of the hospital, where patients´clinical records are kept, and compare hygiene moments of employees with their corresponding “care” moments, recorded in their patient´s clinical history, and create the basis for establishing traceability and accountability. Location: Gel dispensers are placed within two steps from the point of use. Amount: As the system “knows” its users, it is also made to “know” their hand size and to dispense a personalized quantity, sufficient for right disinfection. Govisystem™ facilitates the work of healthcare employees and helps them create the culture of hand hygiene compliance. The system can save 100s of 1000s of lives world-wide.